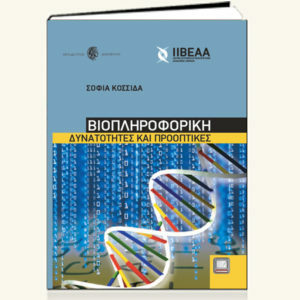 Sophia Kossida received her BSc degree (1995) in Biology from the University of Crete, Greece. She was awarded her DPhil in Bioinformatics, from Oxford University, UK (1998). She worked at Harvard University, USA within the FlyBase group. She was employed as Senior Scientist within Lion Bioscience Research Inc. in MA, USA where she worked on the human genome mining project. 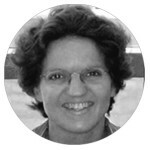 She was appointed Director of Bioinformatics of Endocube in Toulouse, France. She joined Novartis in Switzerland as Lab head within the Functional Genomics Group. 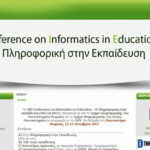 She joined the Biomedical Research Foundation of the Academy of Athens (BRFAA) (2004) as tenure track Bioinformatician. Her scientific interests lie within the Comparative Genomics, Molecular Evolution and Proteomics fields. She has 80 publications in peer reviewed international journals, 17 peer reviewed articles in conference proceedings, 10 book chapters and she is the inventor of 23 international patents (September 2013). She is in the editorial board of several scientific journals. She has got extensive teaching experience and has organized several workshops and conferences. Her team at BRFAA was appointed the National contact point of Bioinformatics for EMBnet since 2005. Since her appointment at BRFAA she has secured approximately 2 million Euros funding from national and European competitive research grants.